CGA’s are one of the most popular forms of legacy giving. Let’s look at why they are so popular. The number one reason for most donors is the amount of income received from CGA’s. Payouts vary widely based on your age and whether you want the payments to go to a survivor, but here are two examples: A 75-year-old female would receive 6.5% for as long as she lives. A 70-year-old couple would receive 5% until both are deceased. Another reason is the immediate tax deduction for the entire amount of your gift. (There can be a limit on how much is deductible the first year) In addition, a portion of your payments are received on a tax-free basis. If a great payout rate and an immediate tax deduction with partially tax-free income aren’t enough, you can purchase through the Unitarian Universalist Association of Congregations for as little as $5,000. Your contributions are managed by an institutional money manager who strives to invest your dollars in alignment with our values. 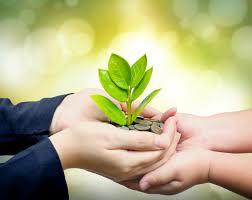 For information about Charitable Gift Annuities or help getting one started, please contact the Committee chair. You get to see the impact of the gift during the remainder of your lifetime. You get an immediate tax break. You can get income from your gift if it is a deferred gift. You can avoid capital gains taxes by gifting appreciated assets. You remove the asset (and its’ future growth) from your estate and the impact of estate taxes on your heirs. 3. They want to designate the gift be used for a specific purpose that is most important to them. IRA and Annuity assets will not be taxed as they will be for all other beneficiaries. People will always have something good to say about you at your service! For more information on how you can give to MVUUF’s endowment fund and what your gift may be able to give to you and your family, please contact the Committee chair.